Often, laceration injuries (especially to hands and fingers) cause permanent damage to nerves and tendons, with loss of mobility, grip strength and even loss of feeling. Exposure to hot or cold temperatures may become intolerable to victims of painful nerve damage. Many such injuries require repeated (“revision”) surgeries, due to unacceptable results. Laceration injuries may result from defective products, car accidents, fall downs, burn injuries and surgery to treat other injuries or illnesses. The resulting scars from such wounds may be disfiguring. The devastating conditions caused by such injuries may prevent a client from attending to required duties at work or even the normal activities of daily living. The lawyers at John J. Malm & Associates have experience in successfully litigating and settling claims for scars and lacerations, and they understand what kind of damages you should seek as fair compensation. (To view a PDF Copy of a Complaint for a defective product causing a laceration injury, click here). Kane County, Illinois. A lawsuit sounding in negligence and product liability was filed by attorney John J. Malm for hand laceration injuries, including tendon and nerve damage, suffered by a Batavia, Illinois woman. 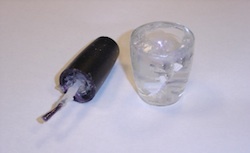 The woman was seriously injured by a nail polish bottle, which suddenly fractured upon opening. She underwent two surgeries. The lawsuit against OPI Nail Products, Inc. was recently settled pursuant to a confidential settlement agreement, before a jury trial was scheduled to begin. DuPage County, Illinois. A lawsuit sounding in negligence and product liability has been filed by Naperville lawyer John J. Malm for injuries suffered by a Downers Grove, Illinois woman injured by a 12” glass vase, which fractured suddenly in the woman’s hand. She underwent surgery. The lawsuit against Michaels’ Stores Inc. and Grande Impressions, Ltd. seeks damages for laceration injuries from the defective Chinese-made product. This case was recently settled for $100,000 before a jury trial was scheduled to begin. 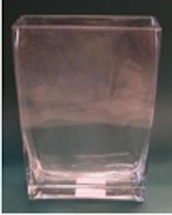 To read more information on CPSC product recalls of glass vases purchased at Michael’s Stores, click here. DuPage County, Illinois. A claim seeking damages for injuries suffered due to negligence and product liability was filed by Naperville attorney John J. Malm for tendon and nerve injuries suffered by a Downers Grove, Illinois man, who was injured when a Chinese-made glass bottle suddenly fractured in his hand. The man suffered a deep laceration necessitating surgery. This claim was settled for $75,000 before a lawsuit was filed. Kane County, Illinois. A claim seeking damages for a laceration injury, scarring and disfigurement against a municipal entity was recently filed by Naperville attorney John J. Malm on behalf of a 10 year old girl against a municipal entity, after a motor vehicle accident involving a street sweeper and a passenger vehicle. A settlement for $250,000 was reached on behalf of the girl who suffered a 6-centimeter (avulsion) flap laceration above her forehead and right eyebrow with hyper-pigmentation of the scar.